Jodhpuri, an industry-renowned home fragrance and home décor company, is introducing their aromatic holiday fragrances including Pine Frost, Gingerbread, Apple Cinnamon, Pumpkin Spice, and Bayberry. These holiday fragrances add the perfect aroma to create a warm holiday feeling in your home. With the upcoming holiday fervor and excitement, Jodhpuri is ready to introduce their collection of holiday fragrances. Jodhpuri’s exquisitely crafted holiday home décor items are a perfect fit to any room during the autumn and winter months. The rich, aromatic fragrances of Pumpkin Spice, Apple Cider, Apple Cinnamon, and Cinnamon Spice can fill your entire home with that special holiday joy. Other holiday fragrances include Pine Frost, Bayberry, Cranberry, Harvest, and Gingerbread which add a winter touch to your home. 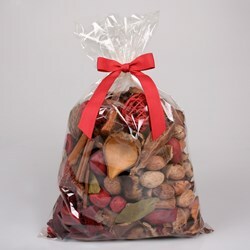 All of these warm fragrances are included in Jodhpuri’s handcrafted potpourri, reed diffusers, incense, incense cones, and vase fillers in net bags. For more information regarding Jodhpuri’s finest collection of holiday products, please email info(at)jodhpuri-inc(dot)com or visit http://www.jodhpuri-inc.com. Jodhpuri Inc. is headquartered in Parsippany, NJ, and has been in business for over 23 years. Jodhpuri is a leading manufacturer and distributor of home fragrance and décor products, such as potpourri, diffusers, incense, artificial greenery, and other related items.